Suzuki has done many good things with the new Swift Sport… the use of the 1.4-litre turbocharged petrol engine from the Vitara S has given it a healthy dose of extra performance, it’s super-light and it looks really good. But it’s flawed and too expensive for what it is. Interested in buying a Suzuki Swift? 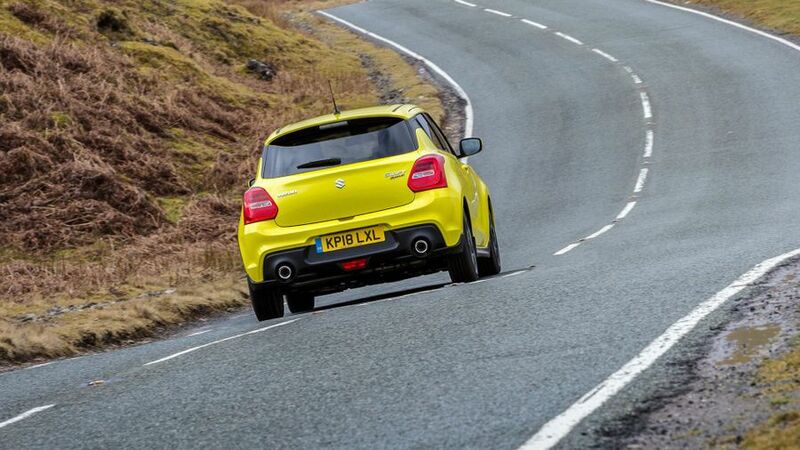 The sporty treatment gives the Suzuki Swift some much-needed visual aggression, without it becoming too over-the-top. The car is a bit wider than a standard Swift, and it features attractive 17-inch alloys, a different shaped grille with creases linking to the headlights, prominent fog lamps in the outer front bumper, side skirts, a discreet rear roof spoiler, and a black diffuser with twin, spaced exhausts. Some questionable carbon fibre-effect material is used on the bar upon which the front number plate is mounted, and for that rear diffuser though. 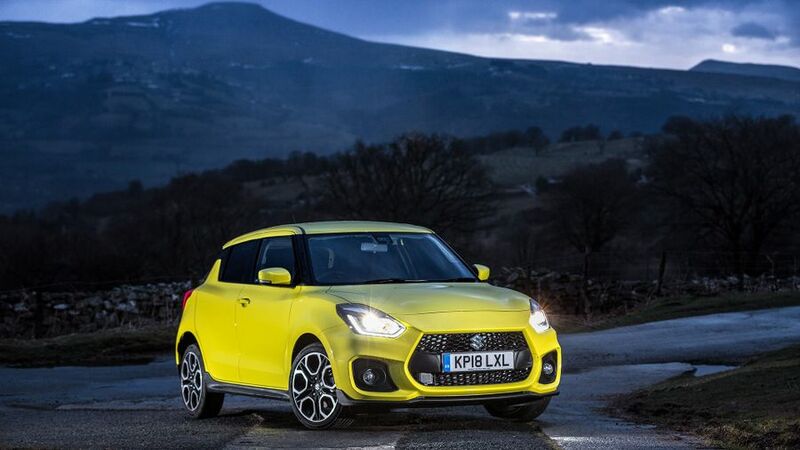 Six launch colours for the Swift Sport include the eye-catching Champion Yellow, which harks back to Suzuki’s efforts in rallying. It really suits the car and it’s an exclusive paint for the Sport model only. Like the regular Suzuki Swift, the interior is clearly laid out and most of the materials used are of a decent quality. However, some hard and brittle-feeling plastics can be found on the top of the dash and lower down in the cabin, and the interior is functional rather than fantastic. 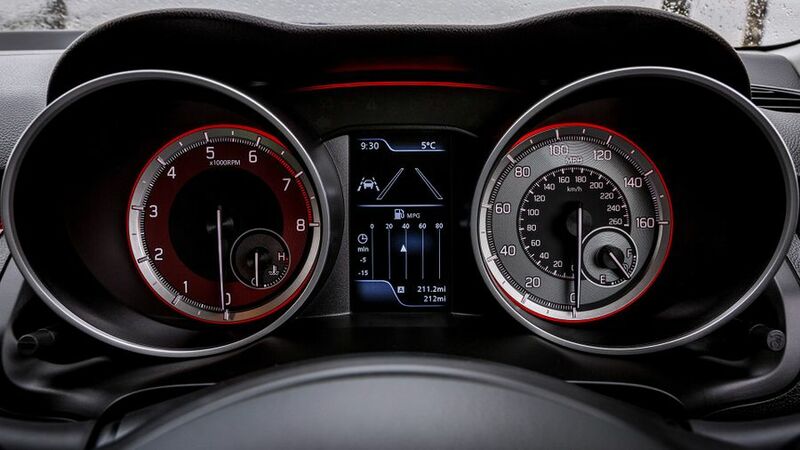 The Sport’s cabin is enlivened with a few details to reinforce its performance message, including liberal use of red highlights – found on the door cards, passenger dashboard, centre tunnel, stitching for the seats and on the dials in the cluster. 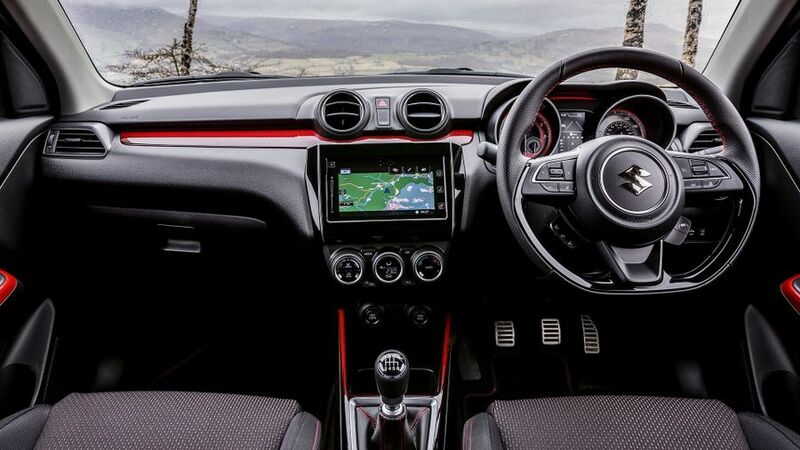 The Swift’s 4.2-inch colour display in said cluster gains a few extra screens, showing details like boost pressure and cornering g, while there’s a flat-bottomed steering wheel and Sport-branded bucket seats as well. 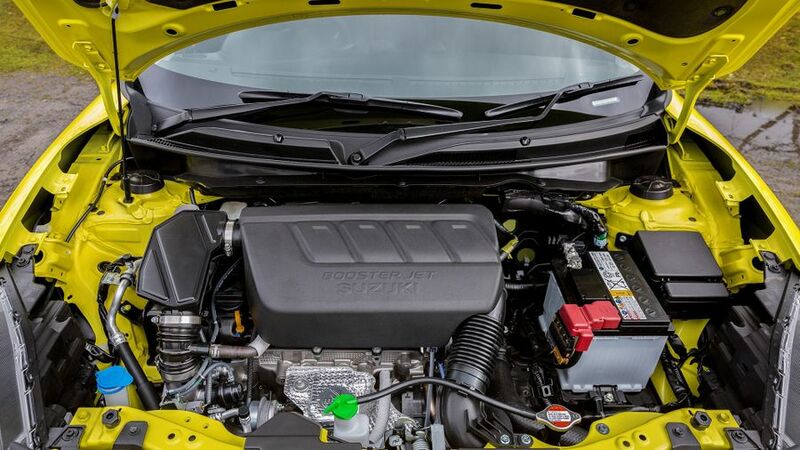 The 3.9-metre-long Suzuki Swift Sport is well packaged. Space in the rear is pretty good, so fitting four adults in shouldn’t be a problem, provided they aren’t all exceptionally tall. The driver’s seating position is multi-way adjustable and the seat itself is both comfortable and supportive, while visibility out of the car is excellent in all directions. Two cupholders can be found in front of the gear lever, there’s another in the rear, the centre armrest hides a large storage box and the door bins are a useful size, incorporating bottle holders in all four. At the back, a 265-litre boot is not especially big for a class where some cars get well beyond 300 litres, but it’s a good shape and it rises to 579 litres with the 60:40 split rear seats folded down. There’s a bit of a step to negotiate at the entry, however. 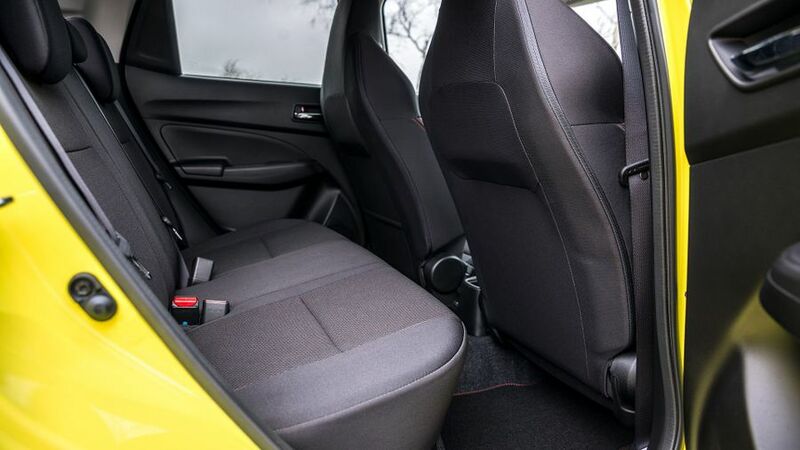 One area where the Swift Sport has improved – not just compared to its predecessors, but also when held up against the rest of the Swift range – is with its ride comfort. Despite the big wheels and the firmer suspension settings, it cruises comfortably and quietly, with wind noise around the mirrors being the only issue. 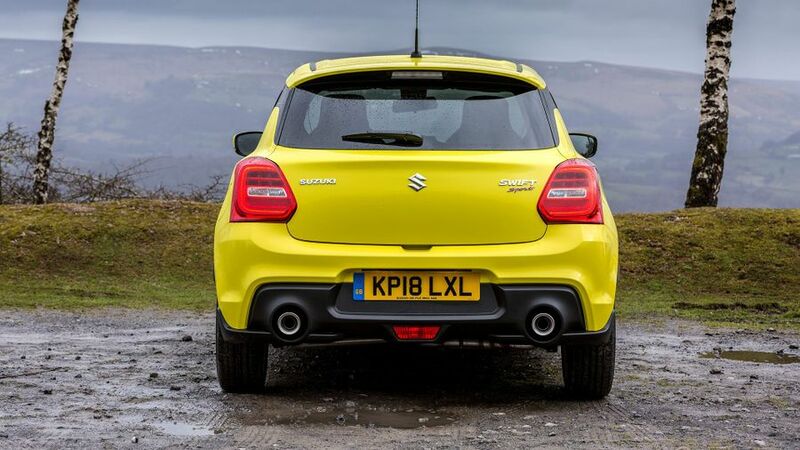 Its stability on the motorway and generally grown-up nature are all the more impressive when you realise the Suzuki weighs just 975kg – 70kg lighter than its predecessor. Therefore, it remains great fun to throw around on a twisty road, because it feels nimble and keeps easy control of its light body. However, the steering is lacking feel and the Sport has lost its ultimate dynamic sparkle, sacrificed to make it more civil on a day-to-day basis. 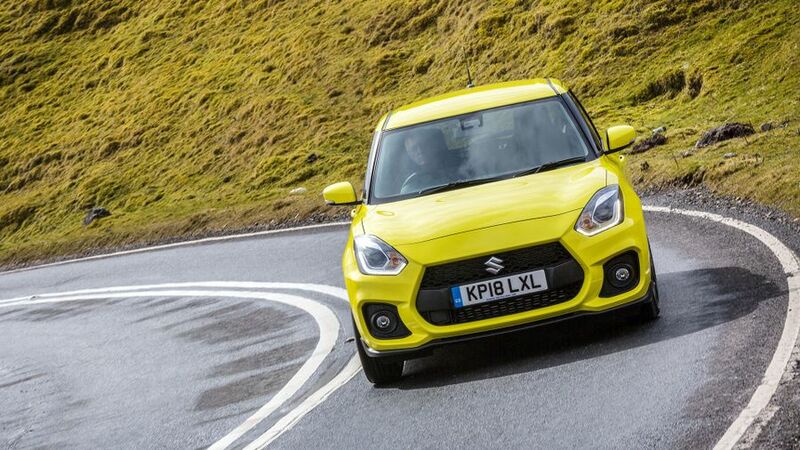 Suzuki has blessed the new Swift Sport with 44% more torque, courtesy of another example of downsizing. Gone is the old car’s 1.6-litre engine, replaced by a turbocharged 1.4-litre, four-cylinder unit borrowed from the Vitara S. This means the Swift has much greater flexibility, requiring fewer gearchanges through the slightly clunky six-speed manual gearbox. It’s reasonably quick – 0-62mph takes 8.1 seconds, and the Sport has a top speed of 130mph where permitted – and it feels a bit faster on the road than such middling stats might suggest, but some of the rev-happy nature of the old car has departed. The 1.4 doesn’t like to rev much beyond peak power at 5,500rpm, and it doesn’t sound particularly nice when doing so, either. One of the by-products of downsizing is improved economy and emissions, and the Swift Sport is no exception to this rule, proving to be much more efficient than its predecessor: under NEDC testing, it’ll return an official 50.4mpg and emit 125g/km of CO2, while the new WLTP regulations alter those numbers to 47.1mpg and 135g/km. Servicing and insurance should both be reasonably cheap, too, although at the time of writing, the Sport’s residual values have not been estimated. The main issue here though is the car’s cost... it’s high for what’s not even a hot hatchback, but a warm one. Suzuki models perform reasonably well in the Warranty Direct Reliability Index, with the Swift having an above average reliability rating, and Suzuki as a brand in the third spot. It’s also covered by the company’s standard three-year/60,000-mile warranty, which can be extended for a fee. 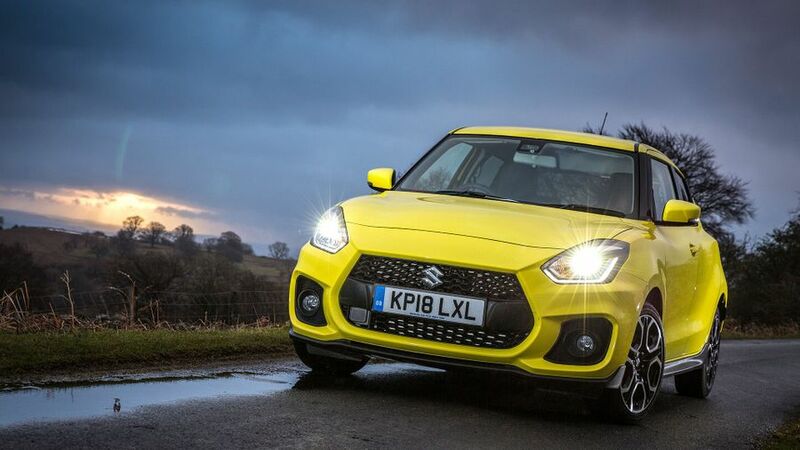 The Swift, like many of Suzuki’s new products, is incredibly rigid, despite being light, thanks to its underpinnings, and the Swift Sport should also prove to be a dependable car. The last Suzuki Swift scored a disappointing three-star rating from safety organisation Euro NCAP when it was first tested, but that was for the basic car with minimal safety kit. Any model fitted with the brand’s Dual Sensor Brake Support (DSBS) is upgraded to a four-star rating and, as it’s the flagship of the range, the Sport has this as standard. In fact, it has an impressive safety roster, including its Advanced Forward Detection System which helps to prevent a crash, brake assist, adaptive cruise control, lane departure warning, lane departure prevention, a weaving alert function, and high-beam assist. It also has a tyre pressure monitoring system, side impact bars and six airbags, plus foot-protecting clutch and brake pedals, and a pair of Isofix child seat points in the rear. 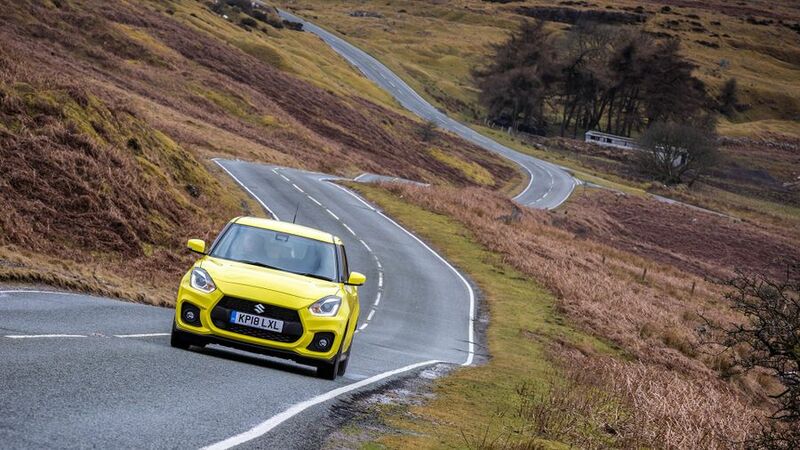 Probably the Suzuki Swift Sport’s strongest suit. To justify the hefty price tag, Suzuki cites both the safety equipment already outlined and the fact there are absolutely no cost options on the Sport – even including metallic paint. On top of all the Sport-related items, buyers get keyless entry and go, a reversing camera, electric windows, electric and heated door mirrors, climate control, LED lights front and back, sat nav, DAB, Bluetooth, USB, and aux-in connections and tinted glass. That means there’s no danger of the Suzuki getting any more expensive than it already is, which might soften the blow of its list price. 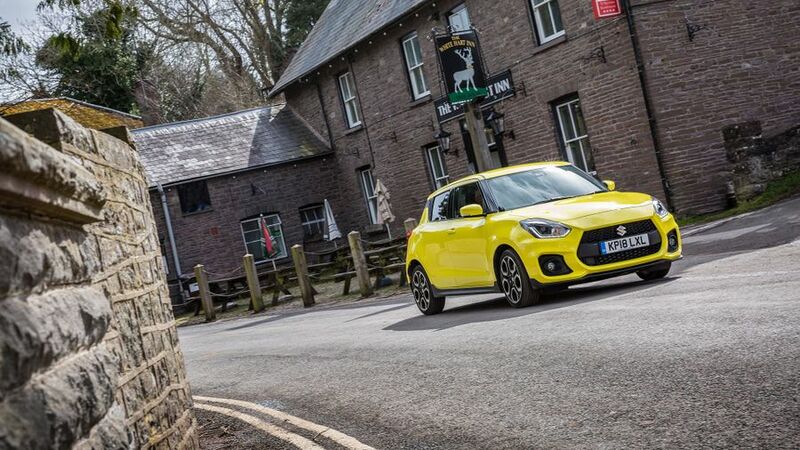 There’s still a lot of character in the Suzuki Swift Sport, which is a supermini-sized vehicle with a sub-tonne kerb weight that would be more befitting of a tiny city car. That makes the Sport both agile in the corners and good on fuel, while its fully-stocked equipment package and appealing looks will also ensure it should find plenty of fans. However, the hike in the car’s list price cannot be ignored and, at this sort of level, it is getting perilously close to genuine hot hatchbacks like the Ford Fiesta ST, Vauxhall Corsa VXR and Renaultsport Clio. Nevertheless, if you want to be different and you enjoy handling more than outright performance, the Suzuki Swift Sport is one to look at.